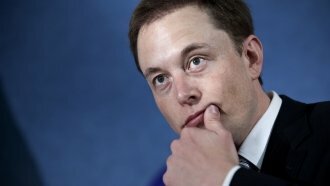 Musk tweeted Thursday he has "verbal [government] approval" to build an underground hyperloop on the East Coast. Elon Musk is still a long way from completing a network of underground tunnels in California. But he's already planning an even more ambitious project on the other side of the country. It would connect New York City, Philadelphia, Baltimore and Washington, D.C. He said the futuristic underground rail system would take passengers from city center to city center, "with up to a dozen or more entry/exit elevators in each city." Musk's hyperloop time from New York to D.C. — just 29 minutes. Earlier this year, Musk announced The Boring Co. had started digging tunnels under Los Angeles to help deal with the city's "out of control" traffic. Musk says there's still a lot of work to do before he can get formal approval for this new project. But he's "optimistic that will occur rapidly."